Charlie Copeland was elected by acclamation! 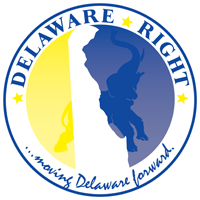 One Comment on "What Happened At The Special Organizational Convention Of The Delaware Republican Party"
The GOP as a political party is insignificant in Delaware and will see little progress in the years to come. Sadly, the no nothings who analyze things say it is Greenwood versus Greenville. Not at all, it the total failure to have a GOP in New Castle County. The same wizards of smart who have run the party into the ground over 20 years have also presided over the demise of the GOP in NCC. It has been three months since John Rollins left after being a total failure and we still have no County Chair. Anyone who gives money to the Delaware GOP should get a mental exam.